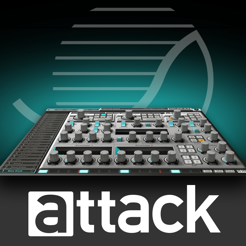 Attack Drums is a synthesizer designed mainly for drum sounds, but the powerful sound engine can also be used for everything else - including vocals. 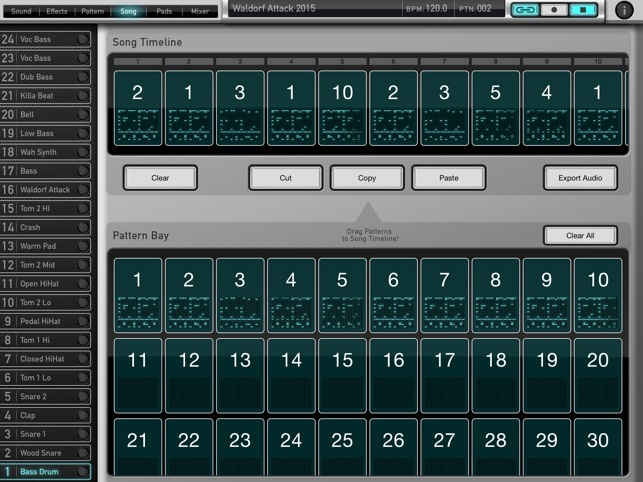 Based on the Waldorf Attack VST PlugIn from 2001, it consists of a 24-part sound engine, now packed with a pattern sequencer and a versatile effects section. One highlight of the effects section is the new Phrase Vocoder, a vocoder that uses written text instead of spoken words. Lyrics in - song out, adjust gender as you have always wanted! 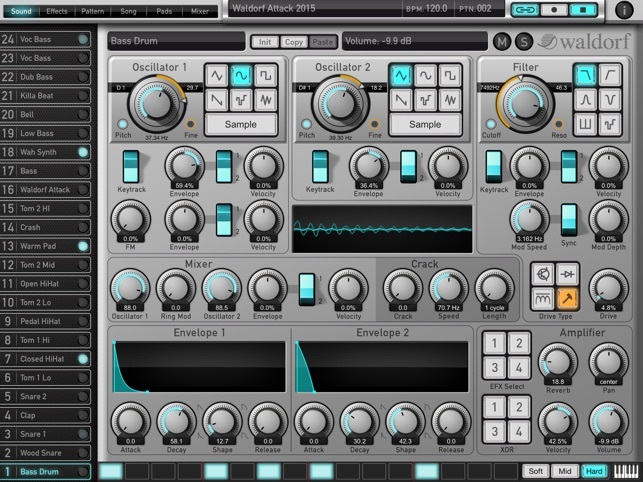 Just like Waldorf Nave, Attack Drums is a seriously in-depth musical instrument - easy and fun to use, but a sonic beast at its core! Please be so kind to update your ratings and reviews - tap the "i" button on the upper right corner and then "Rate on iTunes". On iPad pro this thing rocks out! Is there a way to assign separate outputs in iOS? 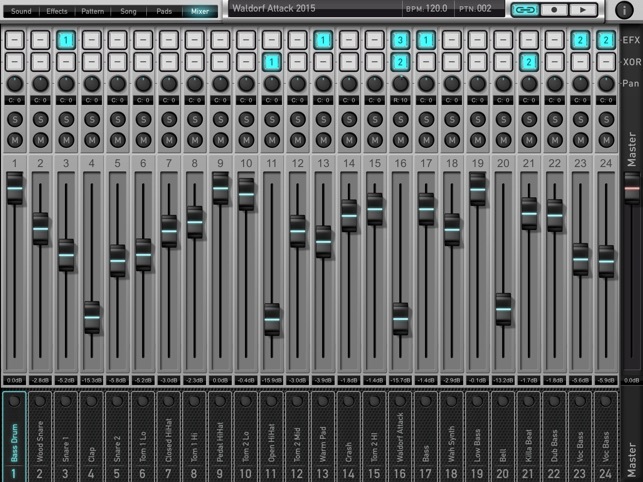 If so I wish this thing allowed for it in apps like AUM or Cubasis. This is what iOS needed. My go to for drum sounds and grooves. I think this thing is very accessible. The workflow is quite straightforward and all parameters are laid out well. I'm a Waldorf fanboy I'll admit. Everything can be improved upon is my mantra, however. This one is no different. Only 16 steps per pattern is quite a limitation in my opinion. If it must remain this way, I would like to set the loop and then have independent navigation between patterns that are within the loop. It's too hard to write in the current pattern before it shifts to the next one which is the only way to write multi-pattern loops. This is a shame because the sound engine is so nice! Still gets high rating! Perfect for analog style drums or sample slices or one shot samples... The sky is the limit. Like I said iOS needed this. 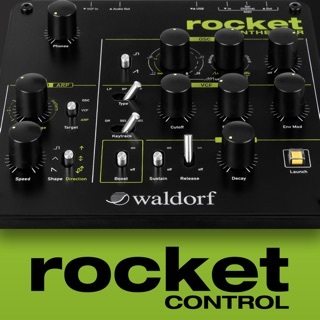 But hey Waldorf, where is the Dropbox integration? I want to email my buddy everything in a project file, etc. we need accessibility please! iTunes won't cut it. 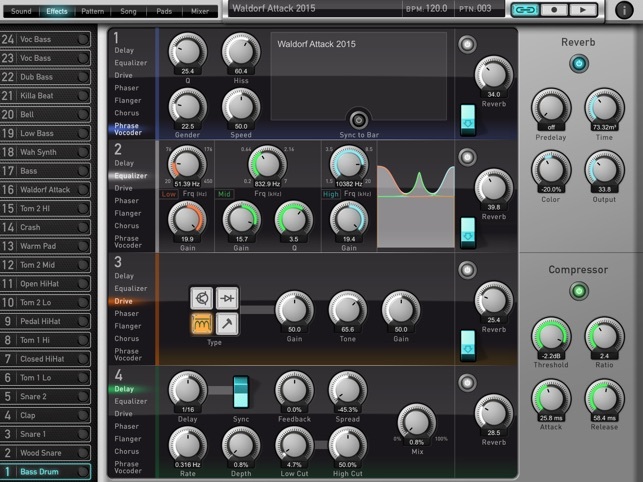 Pros: it's a 24-voice/48 oscillator monster synth that's great for drum creation. 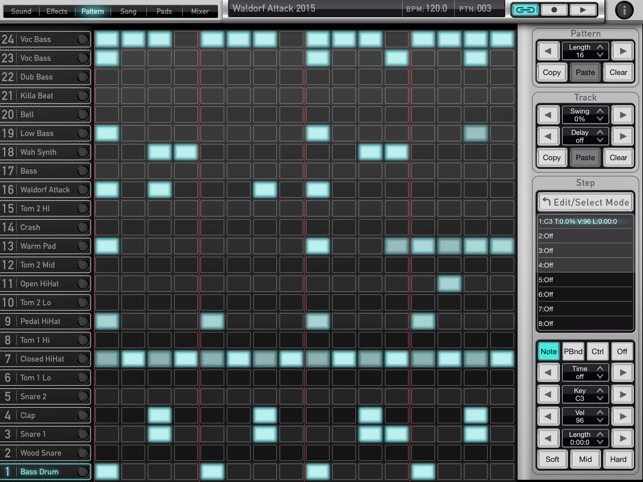 The internal sequencer is pretty good, and the effects are fun. Cons: It doesn't play well with other apps. I spend about 20 hours trying to incorporate Attack with Modstep, Cubasis, and AUM. I've never been so frustrated at software before. MIDI response and routing are inconsistent as it gets, and when I can get it to communicated with other apps, eventually it breaks down like a teenager who wears too much eyeliner and listens to The Cure. Heck, even bouncing samples out of it is a pain. There's so much potential here, that it's a shame to toss it into the rubbish bin, but $20 is the least valuable thing I wasted on this. Truly feeling blessed with this release!! The sound is probably the best I’m hearing on a software platform of any kind that is not sample based. Most advanced and acute sound modification system.. and certainly more to add to the magic of sound! !